Eugene native Jared Pruch got a start in environmental education as a student at South Eugene, when he began volunteering at the Cascade Raptor Center. "We made presentations," he says. "We brought birds into the schools." After a trip to Europe that included a month at a wildlife rehab center in Greece, Pruch spent four years at Colorado College to earn a degree in comparative religion. Afterwards, he worked at an outdoor school in California, at the Canyonlands Field Institute in Utah, then for two years on a biodynamic farm and at a charter school in Hood River. 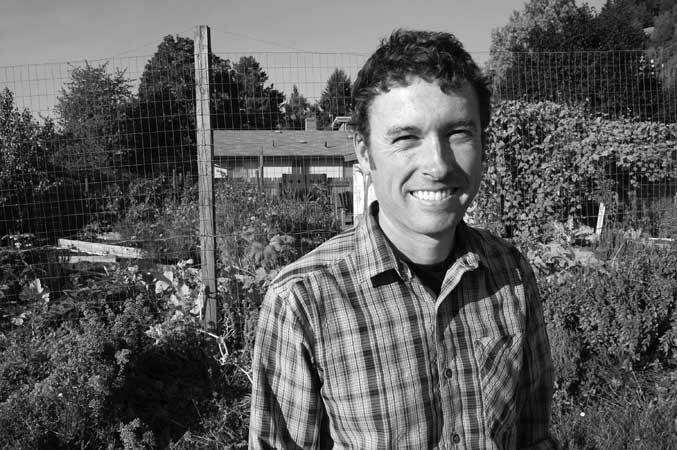 "My job was to manage the school garden," says Pruch, who returned to Eugene in 2007 to manage the School Garden Project. "I found the job on Craig's List." SGP, a non-profit, helps Lane County schools create and sustain vegetable gardens. "We supply 30 schools with starts, and we offer training for teachers," says Pruch, who partnered with the Northwest Youth Corps, Food for Lane County, and other agencies. "Each year, we work with 15 schools to do an educational program." In September, Pruch left the SGP for a new position as coordinator of the Berggren Demonstration Farm, an experimental and educational facility on 92 acres of riparian forest and farmland acquired last year by the McKenzie River Trust.